Formal Methods and Verification of Large Systems in process algebraic framework, Semantics of programming Languages in the domain of Computer Science. Prof. Gaur is an Honorary Research Fellow of University of Glasgow, UK. He is a recipient of Commonwealth Academic Fellowship in 2012 and commonwealth Scholarship in 2005 from the Commonwealth Scholarship Commission UK. Dr Gaur was awarded the Young Scientist Award of Government of Uttar Pradesh in the Year 2003. His M.Tech. Project was awarded best project during the academic year 2001-02 at department of Computer Science and Engineering at IIT Delhi leading to the conferment of prestigious Suresh Chandra Memorial Award. Dr Gaur has 17 research papers to his credit. He has served as Head of the department of Computer Science & Engineering and Professor In-Charge of Training and Placement Cell at IET, Lucknow. He is widely travelled both within India and abroad, primarily in Western Europe and Middle East, for various academic purposes such as invited talks, conferences, short courses and project collaborations. Dr. K.B.Naik received the B.Sc. (Electrical Engineering) degree from Kanpur University, Kanpur, India in 1969, the M.Tech. (Power System) degree from Nagpur University, Nagpur, India in 1972 and the Ph.D. degree in Electrical Engineering from Kanpur University, Kanpur, India in 1984. From 1972 to 1974 he worked as a Senior Research Assistant at the Research and Development Organization for Electrical Industry, Bhopal, India. From 1974 to 1985 he was a lecturer at Harcourt Butler Technological Institute, Kanpur, India. He joined the University of Roorkee, Roorkee, India as a Reader of Power Electronics in 1985. Later on he joined as a Professor of Electrical Engineering at Kamla Nehru Institute of Technology, Sultanpur, India where he had been till 2007. In the mean time he also worked at the same institute as a Director from 2000 to 2006. He worked as a Director at Raj Kumar Goel Institute of Technology, Ghaziabad, India from 2007 to 2008 and from 2008 to 2011 at College of Engineering Science and Technology, Lucknow, India. Presently. He published many research papers in the area of Power Electronics and variable speed drives. His field of interest includes power electronics applications, electrical machines and drives, distribution system and electrical engineering education. He is recipient of �Merit Certificate� award of the Institution of Engineers (India). Dr. Naik is a fellow of the Institution of Engineers (India) and a fellow of the Institution of Electronics and Telecommunication Engineers (India). - M.Tech (Gold Medallist) - Central University, Tezpur. 1.Image Processing, Computer Vision & Pattern Recognition. 7.Electronic Security and Digital Forensics. 8.Applications of Signal Processing in Food Science, Nano-Science and Bio-Technology. Prof. Dutta has co-authored 220 + indexed research papers in international journals and conferences. He was involved as Principal investigator for 4 funded research projects and also has filed 5 Patents. He has guided 3 PhD students (and 3 ongoing) and 21 M.Tech Dissertations. He has strong international cooperation with scientist from USA, UK, Canada, Australia, Spain, Czech Republic, Korea, Costa Rica, Germany, Spain, Republic of Macedonia, Taiwan, China and have co-authored many research articles with them. He was the General Chair of the International conference “IEEE Signal Processing and Integrated Networks”. He is in the reviewer panel and editorial panel of many prestigious journals. Prof. Dutta headed the Amity School of Engineering and Technology and under his Headship this Institution had secured 34th Overall position and 19th Position in research category in the MHRD-NIRF ranking of engineering schools in 2018 that includes all IITs, NITs etc. - Ph.D, Materials Research Centre, Indian Institute of Science(IISc), Bangalore. - M. Tech, Materials Science and Engineering, NIT Allahabad. 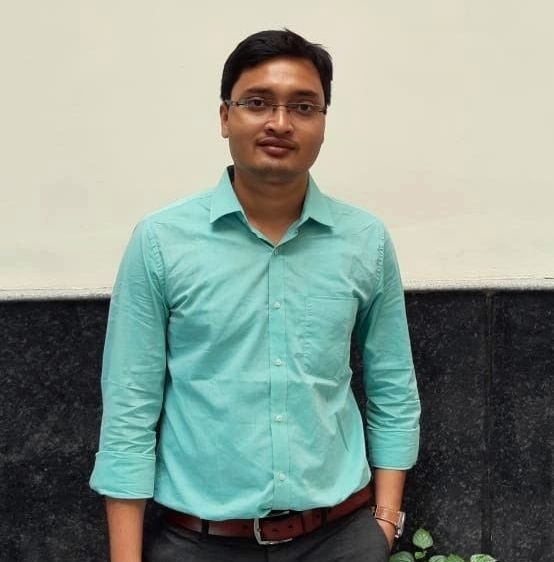 - Worked as a post-doctoral research fellow at CeNSE, Indian Institute of Science(IISc), Bangalore and undertook the equipment layout and process development of CVD of oxide films/coatings of UWBG materials for solar blind PD/ high power electronics. - Led an industry-academia (IISc-industry affiliate) collaborative project titled “A CVD reactor and recipe for growth of large area device quality graphene” (http://www.cense.iisc.ac.in/research/ocean-cvd-reactor) for developing a compact platform for a controlled (pressure, temperature and chemistry) atmosphere reactor that can be sold in the indigenous/international market. - Provided technical consultancy to KAS Technologies Pvt. Ltd. (a Bangalore based start-up venture) in their area of design, development and fabrication of different types of clean-room compatible deposition equipments and their subsequent integration and interfacing with different forms and modes of hardware and software tools. - Lead and completed a GOI funded project titled “Design, Fabrication, and Installation of a System for the Organometallic Vapor Phase Epitaxy (OMVPE) of II-VI Compound Semiconductors” which resulted in the complete layout and construction of an automated 6-channel Thermal CVD/ALD system with the capability of handling both liquid and solid precursors. - Worked with Kennametal India Ltd. for developing a superior nano-composite material (coating) for metal cutting (patent pending). - Devised an innovative microwave irradiation assisted deposition process for quick and inexpensive deposition of coatings of various materials (patent filed). - PhD from Indian Institute of Technology (ISM), Dhanbad. - M. Tech U.P. Technical University, Lucknow. - B.E. from Chaudhary Charan Singh University, Meerut, UP. Dr. Anuj K Sharma completed his B.E. in 2003, M. Tech in 2008 and Ph.D. from Indian Institute of Technology (ISM) Dhanbad in the field of machining with nano-cutting fluids on the topic “An investigation on performance of hybrid nanoparticle enriched cutting fluids in turning operation” in 2017. He has been appointed as Paper setter and Examiner by various State Public Service Commissions in India. He has 20 SCI and Scopus indexed research papers published in international journals. He has been awarded by Research Excellence award (Author of the year) in the year 2017 for publishing 5 SCI papers from MT Research and Education Society, India. He is also awarded with a letter of appreciation for academic excellence and performance par excellence at Accurate Institute of Management & Technology, Greater Noida. 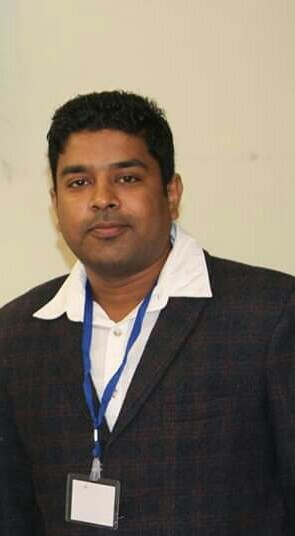 His one paper “Rheological Behaviour of Nanofluids: A Review, Renewable & Sustainable Energy Reviews, 2016, 53, 779-791” has been on top of the list of ‘most cited papers from IIT ISM Dhanbad in September 2016. He is the life time member of Indian Society for Technical Education (ISTE). Network Security, Optimization, Image Processing, Fuzzy Systems, Expert Systems, Social Networks, DNA Computing, Mobile Computing, Cognitive Radio, Parallel and Distributed Systems, Quantum Computing, Embedded Systems. He received his M.Tech. and Ph.D. degree from the School of Computer and Systems Sciences, Jawaharlal Nehru University, New Delhi, India in 2010, 2014 respectively. His current research interest focuses on Internet of Connected Vehicles (IoV), Electronic Vehicles (EV), Artificial Intelligence, Big Data Analytics, Biometric Security, Cloud Computing, Computer Networks, Machine Learning, Network Security and IoT use cases of Sensor Networks. He has an excellent educational record throughout. He is Reviewer of several referred International journals of repute (including ACM,IEEE, Taylor and Francis, Elsevier, Springer, Wiley, etc. )and published 40+ research papers in various peer-reviewed International Journals and Transactions (including IEEE, Taylor and Francis, Elsevier, Springer, Wiley, American Scientific Publishers etc.) and around 10 research papers in proceedings of various peer-reviewed conferences in India and abroad. He has published several papers in the journals having very high ISI impact factor. He is a member of various International Associations, Societies and Scientific Committees. He is engaged in research in the collaboration with National and International organizations of repute. He has research interest in Computer Networks, Cyber Security, Wireless and Satellite networks. He published many research papers in reputed International Journals adequately indexed and also participated in many reputed Scopus indexed international conferences. He has vast experience in Training and placement and administrative responsibilities of varied nature. He was visiting Faculty at University of South Sudan, Malakal. He completed technical assignments in Sudan and Afghanistan. He is widely traveled within India and abroad. He has implemented large number of multi crore Defence communication and networking projects. He has been Chairman of many Technical Committees, Director of Army Placement Agency, Presided officer for selection of B Tech students of UP as Technical Entry Officers in Indian Army. He conducted Peace Keeping Operations as Chief Operations Officer in Sector HQ of United Nations Mission. 1.Image Processing: Image Enhancement, Image Registration. 2.Biometrics: Face Recognition, Iris Recognition, Gait. 3.Wireless Ad Hoc Networks: Energy Aware routing, Secure routing. 4.Information Security: Intrusion Detection and Prevention. He started his teaching career in engineering education from Birla Institute of Technology & Science (BITS) Pilani, India. He also served Motilal Nehru National Institute of Technology Allahabad.He was Summer Visiting Faculty at San Diego State University, San Diego, California, USA in June-July 2013. He has more than 24 years of experience to teach the undergraduate and postgraduate classes. He has guided 08 Ph.D. and 76 M. Tech. dissertations and presently guiding 06 Ph. D. and 6 M. Tech. students. He was part of Indo-UK Cyber security summit organized in March 2013 jointly by Research Council UK and DST India. He has published more than 150 journal and conference papers in the area of fault tolerance computing, image processing, biometrics, wireless ad hoc networks, and information security. He has successfully completed a funded project from DRDE on image analysis and currently running a project funded by DST on face recognition on MP transport license database. Dr. Arya has chaired the technical sessions in International and national conferences in India and abroad and delivered many invited talks/keynotes in India, USA, Singapore, South Korea, Mexico, Sri Lanka and Thailand. Dr. Arya is on the Editorial board of many International journals. He is the member of organizing committee and programme committee for various national and international conferences and workshops. He has edited Proceedings of 9th International Conference on Industrial & Information Systems (ICIIS2014) held on 15th-17th, Dec. 2014 at Gwalior, India. Dr. Arya has co-authored a book titled �Routing in Wireless Sensor Networks: A Clustering based Approach� He is Senior Member of IEEE, Fellow of IETE, and life member of ISTE. Fluid Dynamics, Refrigeration and Air Conditioning. Prof. H K Paliwal is Director of IET Lucknow Professor Mechanical Engineering Department, IET Lucknow. Before joining director of IET, Lucknow, he was Principal and University Dean Faculty of Engineering and Technology. IET was established by the government of Uttar Pradesh in 1984, for imparting technical education. The institute is fully financed by Uttar Pradesh Government and is being administered by the Executive Committee of Gautam Buddh Technical University. The institute is fully residential. The institute was formerly affiliated (1984-1999) to the University of Lucknow, and from 2000-2012 to Uttar Pradesh Technical University, currently Autonomous Institute and recognized by AICTE. The institute had been a constituent college of Gautam Buddh Technical University (2010-2012). Currently, it is under Dr. A.P.J. Abdul Kalam Technical University (2015�present). IET Lucknow started in November 1984, began with the Faculty of Engineering and Technology of Lucknow University. Initially, it offered a B.Tech degree in three branches - Computer Science, Electrical and Electronics. Bio mechanics and Composites, Solid Mechanics & Design, Stress Analysis, Finite Element Analysis. 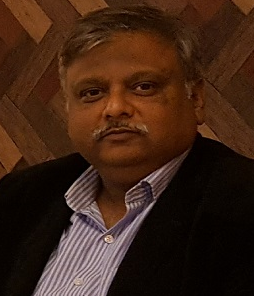 Prof. Rajeev Kumar has 22+years work experience in academics and about six year industrial experience.Presently, he is Controller of Examination, Dr APJ Kalam Technical University, Lucknow since Oct 01, 2017. He has served at various positions in Nuclear Power Corporation of India Limited at their different power projects between July1990 to June 1996. Actively contributed in the commissioning activities of Kakrapar Atomic Power Project, Gujarat and Kaiga Atomic Power Project, Karnataka. He has about 14 papers in international and national journals and conferences andcoauthored two textbooks titled �Manufacturing Processes� published by PHI Learning, New Delhi in 2014 and �Basics of Non-Destructive Testing� published by S.K. Kataria& Sons Publishers, New Delhi in 2013. 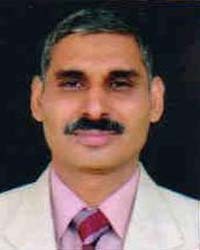 He has served as Joint Controller of Examination at Uttar Pradesh Technical University, Lucknow from Apr 08, 2011 to Feb 03, 2015 and as Additional Controller of Examination at Dr A P J Abdul Kalam Technical University, Uttar Pradesh, Lucknow from Feb 04, 2015 to Jan 27, 2016. He is the Life member of Institute of Engineers, Kolkata. - Ph.D. (Thermal and Fluid Engineering), IIT (BHU), Varanasi (2013). Dr. Arun Kumar Tiwari completed his B.Tech from BIET Jhansi, M.Tech. from IIT Roorkee and Ph.D. from IIT BHU in 2013. He has an excellent educational record throughout. He is Reviewer of several referred International journals of repute and published more than 40 research papers in International, Journals/ Conferences of International repute. He has published several papers in the journals having very high impact factor. 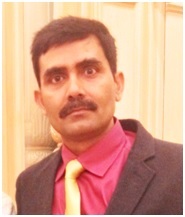 Previously he worked as Associate Dean (Research & Development), GLA University, Mathura. He is also the member of Board of studies of several institutes such as BIET Jhansi, GLA University Mathura. - Ph.D. (Computer Science), Dayalbagh Educational Institute, Dayalbagh, Agra . Data Mining, Machine Learning, Optimization Techniques, Modeling & Simulations,. Materials Management & Inventory Control, Intelligent Enterprise Resource Planning, Project Management. Dr. Vrijendra Singh has more than 13 years� experience in research & development and more than 10 year experience in teaching. He is an Associate Professor at IIIT Allahabad. He was a Senior Project Associate at Dept. of EE, IIT Kanpur prior to joining the IIIT Allahabad. He received his Ph.D. in Computer Science at Dayalbagh Educational Institute, Dayalbagh, Agra. Dr. singh has developed softwares such as Condition Monitoring and Fault Diagnosis of a Two Wheeler Engine for TVS Motors Company, Hosur capable of classifying the engine into Good and Faulty Class and also predicting the possible type of fault in an engine. (Users: TVS Motor Co. Hosur), General Purpose Neural Network Software BIKAS for BARC @ IIT Kanpur: consists of all the Advanced Neural Networks Algorithms from Supervised to Unsupervised domain. (Users: BARC, ISRO, SAIL, IOCL and EIL), ANN Software for ISRO- Inertial System Unit, Thiruvananthapuram @ IIT Kanpur: capable of stability testing of Gyroscope and Accelerometer Sensors at ground level testing and after Takeoff. (Users: ISRO),Blind Source Separation Software: based on the cocktail party problem and capable of segregating the audio, vibrations, image and other signals from the noise and other unwanted signals. (Users: NBRC, NCRB, CBI). - Ph.D from Indian Institute of Information Technology, Allahabad . 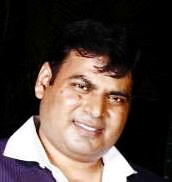 Dr. Manish has more than 15 years� experience in teaching. He is an Associate Professor at IIIT Allahabad currently. He received his Ph.D. in Computer Science at Indian Institute of Information Technology, Allahabad. Dr. Kumar has Professional Membership/Association with IEEE [ Member #: 90580456], ACM [ Member #: 1417948], International Association of Engineers, Secretary, IEEE Computer Society, UP Section, India.He also developed and initiated Data Analytics Lab at IIIT Allahabad. - PhD in Mechanical Engineering, from Indian Institute of Technology (ISM), Dhanbad. - M. Tech in Manufacturing Engineering, Indian Institute of Technology (ISM), Dhanbad. Mr. Rabesh Kumar Singh works in the area of machining, nano-cutting fluids using MQL and Sensors for measurement of Temperature and Cutting forces in metal removal processes and submitted his Ph.D thesis (May, 2018)to Indian Institute of Technology (ISM) Dhanbad. 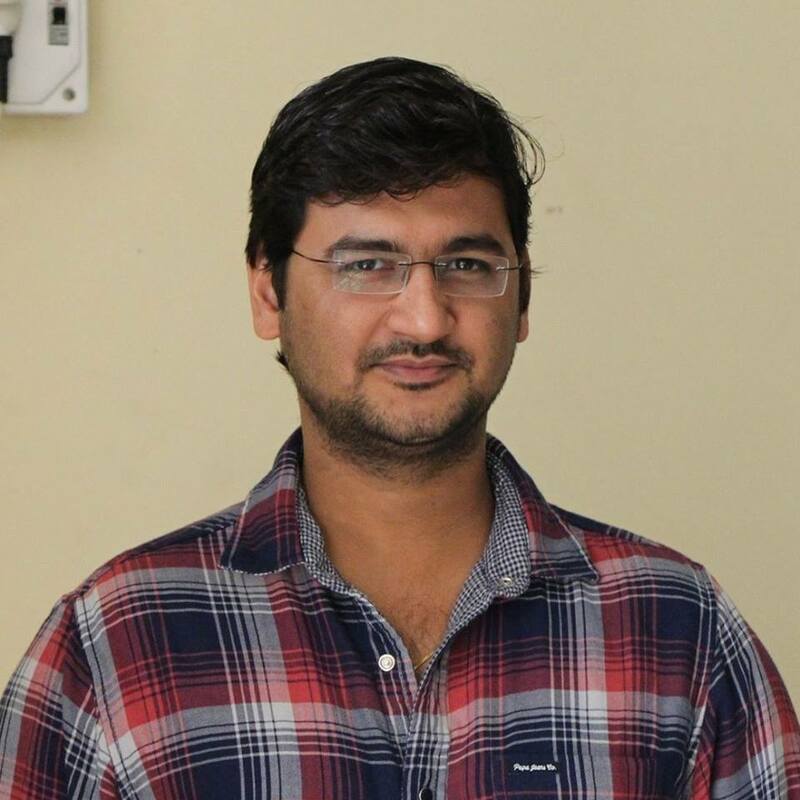 He has completed M.Tech degree from Indian Institute of Technology (ISM) Dhanbad and earned his B.Tech degree from GLA Institute of Technology and Management, Mathura, UP. 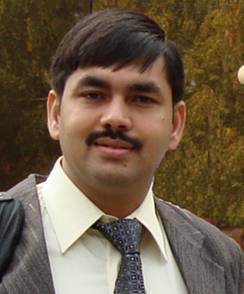 (Gautam Buddha Technical University, Lucknow) in 2011.He is the reviewer of several referred International journals (SCI/SCIE and Scopus). He have published more than14 SCI and Scopus indexed research papers published in international journals(including Taylor and Francis, Elsevier, Springer, etc.) and 3research papers in proceedings of various peer-reviewed conferences in India and 3 national and international conferences as well. - Ph.D., Department of Petroleum Engineering, Indian Institute of Technology (ISM), Dhanbad. - M. Tech., Petroleum Engineering, Indian Institute of Technology (ISM), Dhanbad. - B.Tech., Mechanical Engineering, Uttar Pradesh Technical University, Lucknow. Sand Control Methods at oil fields, Enhanced Oil Recovery, Application of nanotechnology in the oil industry. -	Worked as an Assistant Professor and Academic Coordinator (Department of Petroleum Engineering) at University Institute of Engineering, Chandigarh University, Gharuan, Mohali, Punjab. 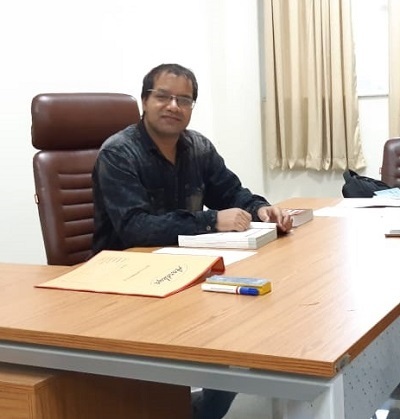 -	Dr. Saurabh Mishra completed his doctorate from Indian Institute of Technology (ISM), Dhanbad under the supervision of Dr. Keka Ojha (Associate Professor, Department of Petroleum Engineering, IITDhnabad). He did his research work in the field of production technology, on the topic �DEVELOPMENT OF CHEMICAL SYSTEMS FOR CONSOLIDATING SAND FORMATION TO IMPROVE OIL PRODUCTION� in the year 2017. During his research work he developed 4 new chemical systems (including nanoparticle induced chemicals) to consolidate the sand formation beneath the earth crust. -	He completed his M.Tech. in 2013 and B.Tech. in 2009. - Ph.D., Electronics and Communication Engineering, Motilal Nehru National Institute of Technology, Allahabad. - M.Tech, Electronics and Communication Engineering, SardarVallabhbhai National Institute of Technology, Surat. - B.Tech, Electronics and Communication Engineering, Shri Ram MurtiSmarak College of Engineering and Technology, Bareilly. Thermal evaporated thin films, surface plasmon resonance based biosensor, application of nano materials in solar cells, thermo-photovoltaic cells, optical communication, optical grating based sensors. She submitted her Ph.D. in June, 2018 on �Design, Fabrication, and Characterization of Optical Devices: Absorber and Sensor� at MNNIT, Allahabad. She did her M.Tech from SVNIT, Surat in 2014. Her work in M.Tech is related to the fiber Bragg grating. 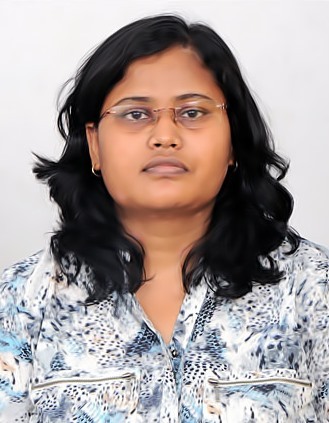 Her current research interest is, non-conventional energy resources based on the nano-materials like graphene, TMDs, Metamaterial etc., surface plasmon resonance based biosensors, grating based sensor, thermo-photovoltaic cell. She is reviewer of several referred journals. She has published 18 research articles including journals and conferences. She got best paper and poster presentation award in two different conferences. She has also got the travel grant from SERB, DST, India to present a paper in CLEO, San Jose, California, USA. She is a member of various International Associations, Societies and Scientific Committees. 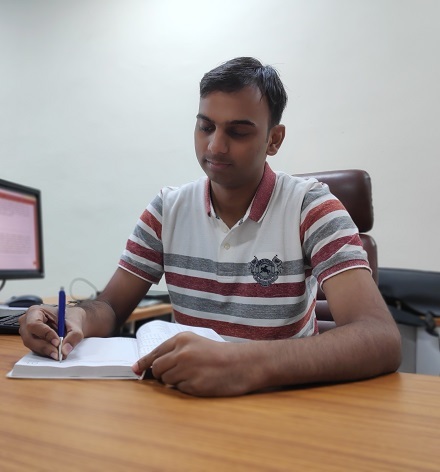 - Ph.D. (Computer Science & Engineering), MNNIT Allahabad (2019). - M.Tech. (Mobile Computing), NIT Hamirpur (2013). Software Defined Networking, Network Security, Cryptography, Wireless Sensor Networks, Mobile Computing. Dr. Neelam Dayal is working in the area of Network Security. She completed her Ph.D. from Motilal Nehru National Institute of Technology Allahabad in the field of software defined network security. She did her M.Tech from NIT Hamirpur on optimal cache placement in wireless sensor networks. Her research area includes wireless sensor networks, mobile computing, network security, cryptography, software defined networking. She is holds the membership of various International Associations, Societies and Scientific Committees. Also she is reviewer of several referred International journals of repute. - Ph.D. (Indian Institute of Information Technology, Allahabad). - M.Tech. (Robotics & AI) (Indian Institute of Information Technology, Allahabad). - B.Tech. (Electronics & Communication) (UPTU,Lucknow). 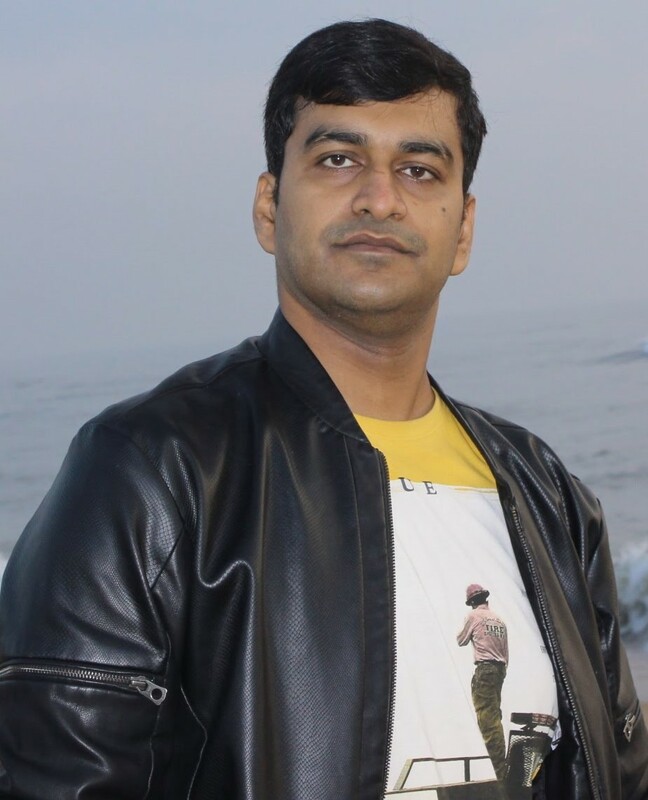 Dr. Manish has earned his M.Tech & Ph.D. from Department of Robotics and Artificial Intelligence, Indian Institute of Information Technology, Allahabad. His Thesis deals with the Locomotion Control humanoid Robot using Analytical and Machine Learning approaches. He also worked atSchool of Automation, Banasthali Vidyapith Rajasthan as Assistant Professor. He published his research work in various SCI/SCIE/ESCI and Scopus indexed journals and also presented his work in different National & International Conferences which show his research quest. He also served as reviewer of several prestigious and peer reviewed journals. During his tenure at IIIT-Allahabad, he has served as Ph.D. Representative and was involved as an active member in various student committees. He was awarded MHRD fellowship during his M.Tech & Ph.D. He holds the 2nd rank during his M.Tech (Spl: Robotics & AI) studies at IIITA. - M.Tech. (Computer Technology and Application) (National Institute of Technical Teachers' Training and Research, Bhopal). - B.Tech. (Computer Science) (Kurukshetra University, Kurukshetra)..
Machine Learning and Data Analytics, Big Data Analytics, Cloud Computing, Internet of Things. Mr. Amrit Pal works on the problems related to data analytics, and use of data analytics for Big Data, Cloud Computing and Internet of Things. He has submitted his Ph.D. thesis at Indian Institute of Information Technology, Allahabad. He has done his M.Tech. from NITTTR Bhopal and earned his B.Tech. from Kurukshetra University, Kurukshetra. He has several research publications in reputed journals and international conferences. - Post-doctoral Fellow, March, 2017 to September, 2018 � CINAP (IBS), Sungkyunkwan University (Supervisor: Prof. Young Hee Lee). - PhD, July, 2012 to December, 2016 � Department of Chemistry, IIT Kharagpur (Supervisor: Prof. Tarasankar Pal and Prof. Anjali Pal). - MSc: 2009 � 2011, Chemistry (Inorganic), West Bengal state University, WB. -	Design of different advance nanomaterials or nanocomposite using TMOs/TMHs or TMDs (especially porous, thin wall, core-shell etc.) for the fabrication of different conversion type electrodes for energy storage devices (Metal-ion battery; LIB or SIB). -	Design of high voltage energy storage devices (supercapacitor and hybrid device). -	In-situ and Ex-situ characterization of the electrode to study the reaction mechanism of the material. -	TMDs based electrocatalyst for OER and HER reaction. -	Worked as an IBS fellow during the postdoctoral research in the area of electrochemical energy storage. Developed a new pathway to increase the voltage window for asymmetric supercapacitor in aqueous electrolyte to increase the energy density. Also worked on the development on the hybrid supercap-battery device and Li-ion battery anode. -	Selected for the SERB Indo-U.S. Postdoctoral Fellowship, SERB and IUSSTF at University of Texas, Texas, August 2017-denied the offer. -	Experienced in Wet chemical synthesis of different single and mixed transition metal oxides (TMOs)/hydroxides (TMHs) nanomaterials and nanocomposite. -	Worked as a guest Lecturer, Ananda Mohan College, University of Calcutta, WB (from September 2011 to April 2012). -	Worked as a teaching Assistant, IIT Kharagpur (from July, 2012-May-2015). -	Mentored two M.Sc. students in the laboratory, IIT Kharagpur for one year project. One of those projects was selected as the best postgraduate project in the Department of Chemistry, IIT Kharagpur and was also nominated for the best post graduate projects in the Institute. -	Mentored one PhD student, Sungkyunkwan University, South Korea. - Masters from Guru Gobind Singh Indraprastha University,New Delhi in Computer application and industrial training from CDAC . Web Applications Development, Database Systems,AI,Software Testing,Operating Systems . Mr. Divyanshu has more than 4 years of industrial experiance in software design,testing and maintenance.He was in core team to organize several national level workshop at Bioinformatics Centre,Biotech park Lucknow sponsored by DBT,goverment of India. 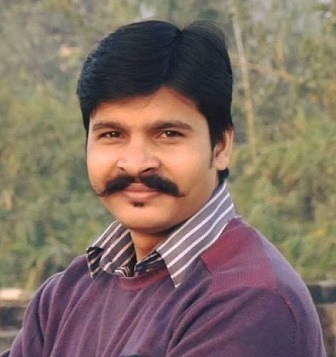 He also worked as an industrial trainer for both java and database systems.Several software products/modules developed (or in development team) by him includes databases for bioinformatics,ERP software modules,Web Applications and modules for few institutes.He also involved in installation and administrate the Brihaspati software developed by IIT Kanpur. PG. Diploma, CDAC Acts, Pune . Embedded System, Real Time Operating System. Design Micro control and Microprocessor Based systems, FPGA and ASIC design, Frontend And Backend IC designing. Sensor based system, Internet Of Things, VHDL and Verilog, . Mr. Gaurav has very good educational record throughout. He is also having more than for 4+ year industry experience. He is having experience in the field of automobile, Network and small-scale industry too. 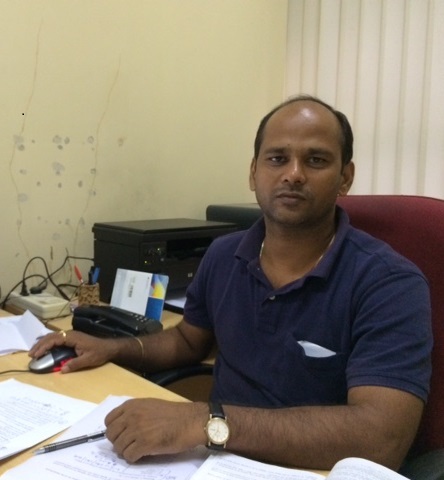 He is also having experience to working with Central for electronics engineering research institute, Pilani. E-Learning, e-Library, Digital library, knowledge management, library automation, library policy and management, personnel management, informatics, non-numerical multimedia database management; Designing and implementing library systems including technology and organizational process in addition to building strong teams. Dr. Ram Kumar Pathak is the Library in charge of Dr A.P.J. Abdul Kalam Technical University Central library and Assistant Librarian of Centre of Advance Studies, AKTU from April, 2018 onwards. 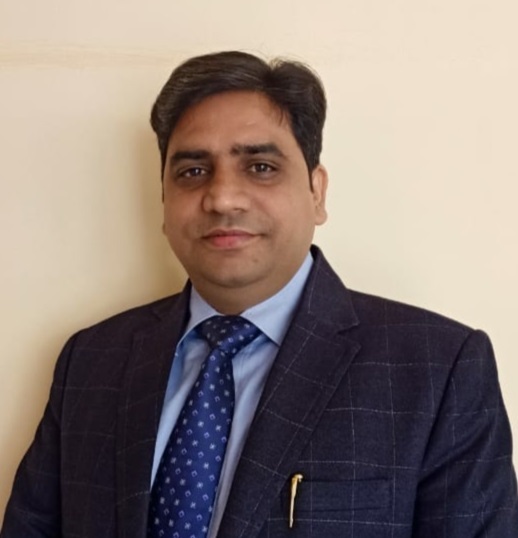 Prior to his present assignment, Dr. Pathak has worked as the Chief Librarian at the Vidya Knowledge Park, a large- sized educational institutions like university located at Baghpat Road, Meerut from August 1, 2006 to March 2018. He was also the Librarian and Head, Dept. of Library and Information Science in Pioneer Institute of Academics, Meerut, from Aug 1, 2000 to July 31, 2005. Dr Pathak is having right blend of teaching and administrative experiences and proficiency in digital library operation and sufficient exposure to latest library management software. He is an experienced library and information professional having experience across the wide range of Library and Information Science. Further He is a member of several professional bodies like ILA, MANLIBNET, and UPLA. 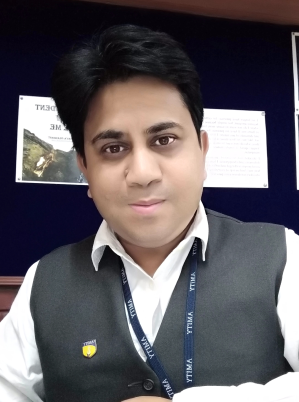 He is having Extensive experience and training in computerization of in-house activities of Library using LibSys, KOHA, DSPACE and Online Integrated Library Information Services (LIS) software packages He has presented research papers in several national and international conferences and symposia in India. - B.Sc. ( Dr. RML Avadh University University, Faizabad Uttar Pradesh) . Mukesh Kumar Mourya has completed his graduation (B.Sc.) from Dr. RML Avadh University Faizabad, Uttar Pradesh. He has done his High School and Intermediate from UP Board. He served as a Stenographer in ICSSR�s Project on �D.N. Majumdar� in Giri Institute of Development Studies, Aliganj Lucknow for two years. He also works with Legal Advisor to Hon�ble Governor of UP as a private stenographer.